We spend an average of one-third of our waking hours at work, so it's important that our workplaces are safe and free from hazards. But for many Ontarians, that isn’t always the case. Occupational health and safety efforts often focus on preventing industrial accidents and other traumatic incidents. These are important efforts, but other exposures in the workplace can also lead to serious long-term health concerns. Take, for example, cancer-causing agents. A 2017 report from the Occupational Cancer Research Centre and Cancer Care Ontario showed that exposure to major carcinogens – such as solar radiation, asbestos, diesel engine exhaust and silica – is responsible for thousands of occupational cancers each year in Ontario. 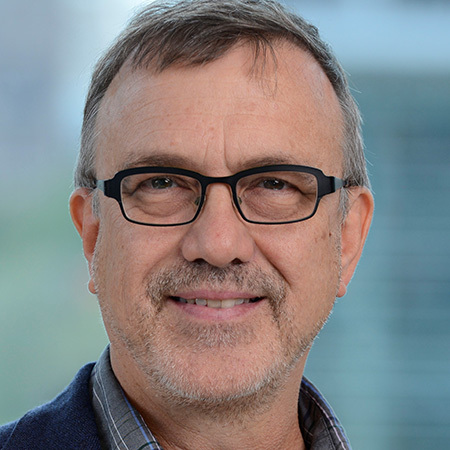 Cancer Care Ontario Senior Scientist Paul Demers, the lead investigator of the study that report is based on, is a world-renowned expert in the field. Recently, Demers was named to lead a provincial review of occupational cancer that's designed to provide the Ontario government with the latest best practices and up-to-date information with respect to compensation. We spoke to Demers to learn about the evolving science and the impact of workplace cancers. Why is it important to study occupational cancers? Demers: Research has found that many Ontarians are exposed to well-established causes of cancer in their workplaces. We're only beginning to fully understand the extent of these exposures, and the cost to our healthcare system. Many people can’t personally control what they’re exposed to at work, or don't have the freedom to find a different job. They need support from employers and governments. We hope that the evidence we gather from research can inform regulations and policies that will ultimately make workplaces safer for everyone. It's very important to tell this story, both for individual workers and at a system level. Why hasn’t there been more of a focus on occupational cancer in the past? Demers: Many of the carcinogens we study have been known for a long time, but the problem persists. Exposure levels have decreased over time, but we are just now learning more about the adverse health effects than can occur at lower levels of exposure. There's also a broadening of awareness about how and where people can be exposed. For example, we often assume that workplace exposures are limited to industries such as mining or manufacturing. But nearly half a million Ontarians are exposed to ultraviolet radiation (UVR), which is a known cause of skin cancer, at work each year. That’s significant. Think of all the different occupations with large amounts of outdoor work: everyone from police officers to landscapers to mail carriers and so on. UVR affects a range of industries and occupations you wouldn't normally associate with this particular cancer risk. What are a few things workers should know about protecting their health? Well, workers do have some responsibility to protect themselves, such as properly using appropriate safety equipment provided by their employer and following the health and safety policies and procedures. But when it comes down to it, this problem needs a system-level fix. The most effective way to reduce exposure is actions and policies at the broader level – ones that are developed and enforced by government or employers. Indeed, employers and workers can take quite an active role. Joint health and safety committees that have both labour and management on the committees can be a key component. Do you think there is enough public awareness about the risks of cancer-causing exposures at work? Demers: Awareness has increased in recent years, but many people may think we’re further ahead than we are. It’s a constant challenge to keep the issue of occupational cancer alive and progress moving forward. But we continue to work with our partners to create that awareness. By releasing reports such as the Burden of Occupational Cancer in Ontario we hope to keep the issue of occupational cancer at the top of mind, so we can reduce workplace exposures and prevent future cancers.